More specs available for view about Canon's latest G1X camera. With a sensor almost as large as the Canon 7D and ISO noise rumored to be better using the latest High-Sensitivity CMOS sensor with DIGIC 5 Image Processor (up to 128oo ISO), this will be an interesting camera when you don't want to carry an interchangeable lens camera or something as stripped down as a pocketable point and shoot. 58mm filter thread available on the lens, optional lens extensions can be mounted (i.e. wide angle), hot shoe to accept external Canon Speedlites, and a waterproof housing will be available also for some underwater action. I was pretty impressed with the video quality on the pocketable S100 with Digic 5 processor, but the S100 does not have an imaging sensor as large as the G1X. I can't wait to start seeing some samples. You can check out the long list of features on the recently available Amazon pre-order page (click here). Posted in Canon G12, Canon G1x, Digital Cameras. Tags: canon g12, Canon G1x, Canon G1X Lens, G1X Underwater on January 14, 2012 by Emm. There was plenty of information about Canon replacing the G12 in the last few months, and now it's official with the coming of the G1X. 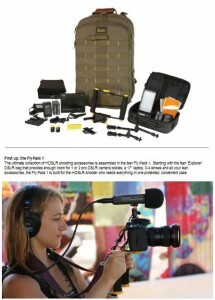 [Update] It appears that the G1X is not a replacement, but a new line of camera. Sorry for the short post guys, i'm flying out to Las Vegas (CES) today, but you can read more about it over at the B&H Article (click here). 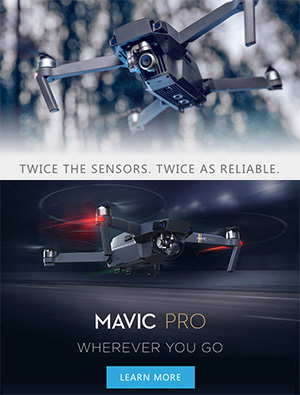 Pricing expected to be around $799 can be found with more technical product specs at the pre-order page already live (click here). Posted in Equipment Reviews. Tags: canon g12, Canon G1x on January 9, 2012 by Emm. Someone responded to my earlier video about the Nikon P7000 and Canon G12 review. I mentioned that the Canon G12 can accept a remote for Timelapse Photography and the Nikon doesn't accept the remote. Turns out Nikon has an Intervalometer feature built in and you don't need to carry an extra gadget. 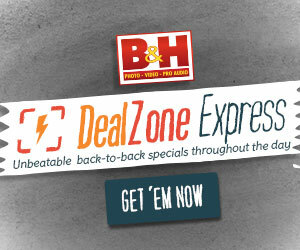 Touche' I say, and well played Nikon...well played indeed. So I stand corrected about Nikon and Timelapse Photography. Not to sound too biased (again), but the Intervalometer feature built into the Nikon isn't so great. There's also a nice little feature for HDR photography already built into the Canon G12 that makes Timelapse Photography even more fun. 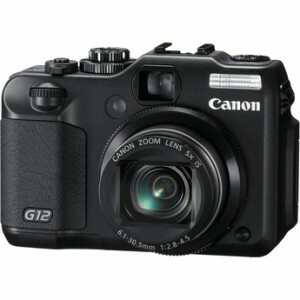 I'm loving the G12! Many times we cover events and want to timelapse the whole setup process and footage throughout the day. 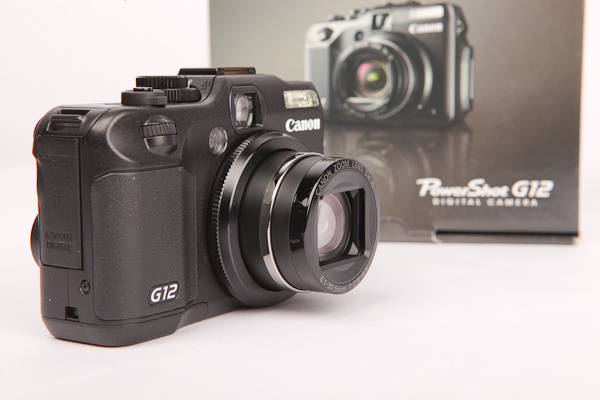 For you Wedding Videographers, the G12 is a great camera to throw into a corner and get some Timelapse footage to incorporate into your videos. For Real Estate agents or anyone doing interior work, grab a tripod and let the camera process out a more balanced exposure. Check out the video above for more information about HDR timelapse with the Canon G12, and I can't wait to take this out for some Timelapse fun. Posted in Canon G12, Equipment Reviews, Lens Talk, Lighting, Nikon P7000, Photography Gadgets, Timelapse Videos, Videography Gadgets. Tags: canon g12, Canon G12 timelapse, HDR photography, intervalometer, Nikon P7000, timer remote on November 4, 2010 by Emm. There was a time when many said DSLR cameras with video capabilities wouldn't make much sense, but look where we are today. Now we're starting to see point and shoot cameras offering more into HD video features, but it's still nothing to get too excited about. Point and shoot cameras with HD Video still aren't quite at a level to make any filmmaker go nuts - but then again there are guys spending big bucks shooting short movies and music videos through an iPhone. 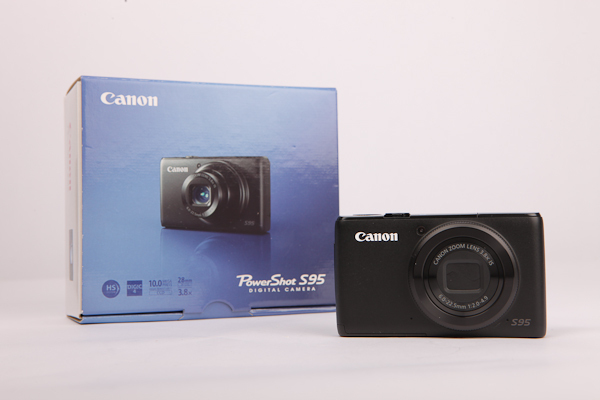 Here's three cameras that have already made it as winners in this years popularity contest, but should be even more popular during the holidays. If you're like me, and you've got friends asking you about what new camera they should be getting into, keep an eye out for the Canon S95, Canon G12, and Nikon P7000. I'll dive into some fun novelty features that these cameras have built in on a different post, but for now a quick highlight of the external hardware and basic features. 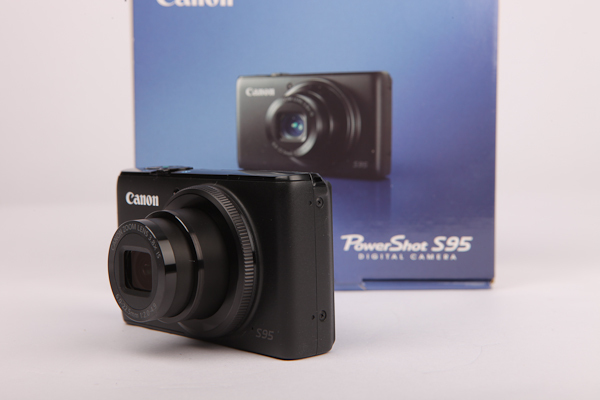 The Canon S95 is an improvement over the already popular S90. Many settings can be controlled manually like shutter, aperture, ISO, and white balance. 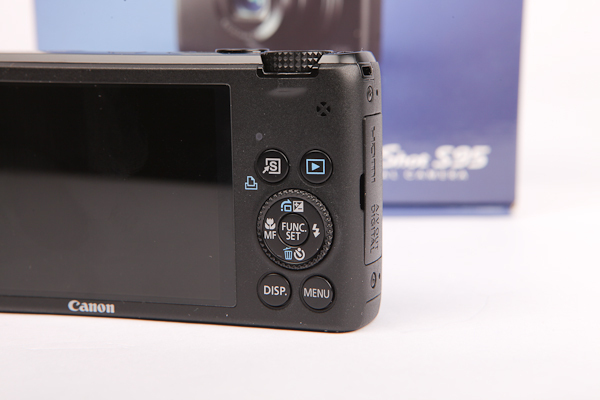 For photos, the S95 can also shoot in RAW which will give you more dynamic range to edit images in post. A friend of mine recently took the Canon Powershot S95 on vacation and found the camera's ability to take such nice pictures in it's auto settings, there was no need to shoot in RAW and edit later. For serious photographers, the manual settings and RAW photo options are great features in a pocketable Point and Shoot camera. All three cameras use SDHC media cards for storage and are HD video capable @720 24fps with HDMI out as well as a port for USB AV out. Unlike the other two larger cameras, the Canon S95 does not have a hotshoe option and very little analog dials / buttons to manually change camera settings. If you're willing to carry a slightly larger camera, the Canon G12 and Nikon P7000 will get you closer to that DSLR feeling. 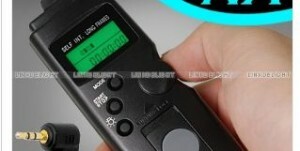 These camera have several dials and buttons dedicated to quickly change camera settings. 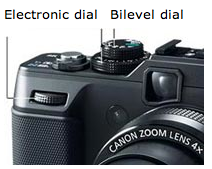 On the Canon G12 there's a single dial dedicated to ISO, and a single dial dedicated for Exposure compensation. Another dial controls the main menu for AV, TV, Video, and one more jog dial on the back controls the shutter speed. It's not in familiar places, but with short time you'll master these controls. 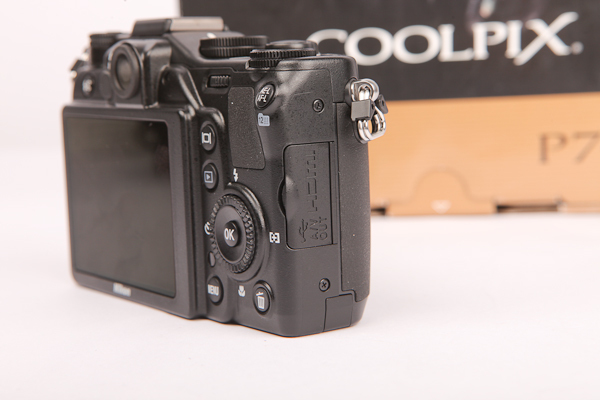 Even the Canon OEM waterproof housing for the G11 is compatible with the G12. This already makes for a perfect underwater HD video camera on the cheap. Special wide angle lenses, fisheyes, and step up Macro filters are widely available through Canon and aftermarket companies. 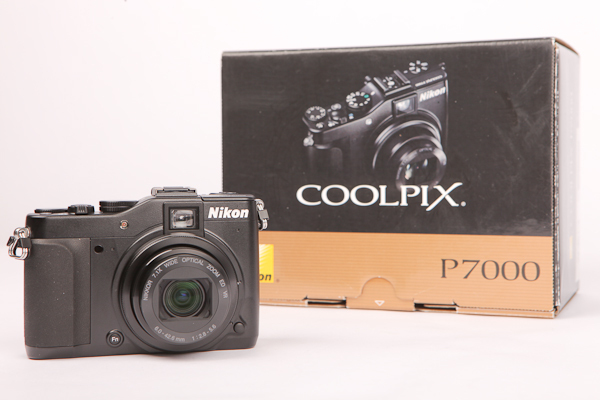 Since this is something new for Nikon, I can't even locate the lens adapter for the P7000 yet. 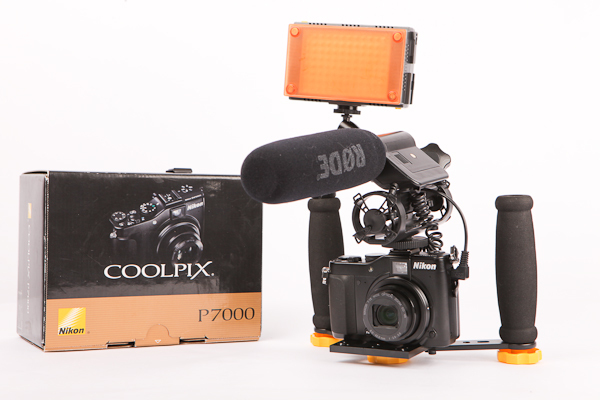 Hopefully we'll start seeing some new accessories for the P7000 by end of year to further expand it's usability. 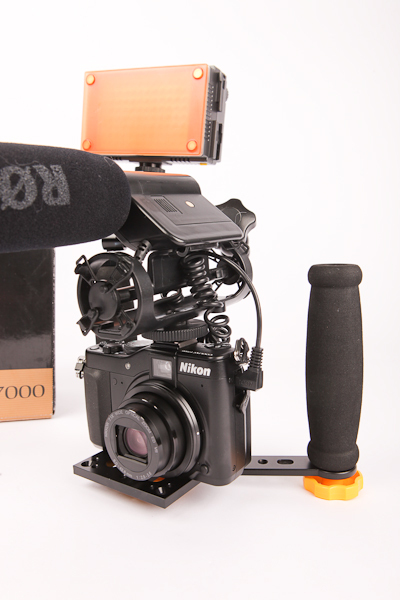 Since the Nikon P7000 has a 3.5mm input for an external Microphone, I quickly threw on my Rode VideoMic. Next I mounted it to the Ikan FlyKit DSLR Stabilizer (I'll get to that later). 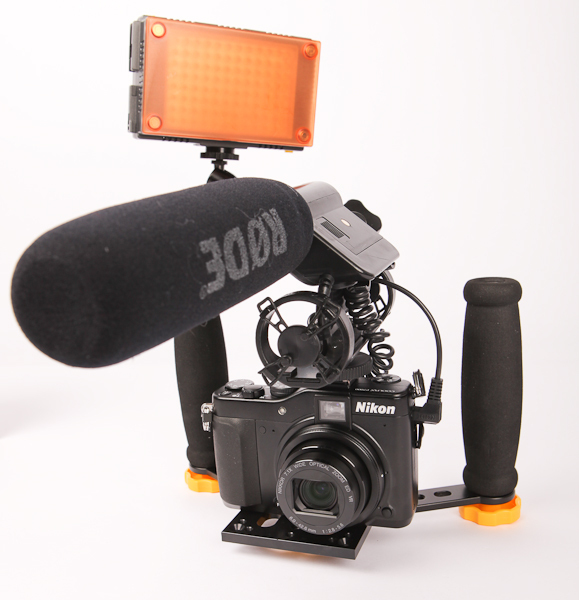 With a Flexible Power Arm, I also mounted the Z96 LED video light. I have nothing interesting to record right now, but testing it out, everything works great and the image stabilization in the Nikon performed well. I'm not sure if there's a way to set the video to 'manual' mode but I did notice some exposure changes in the video while running around. 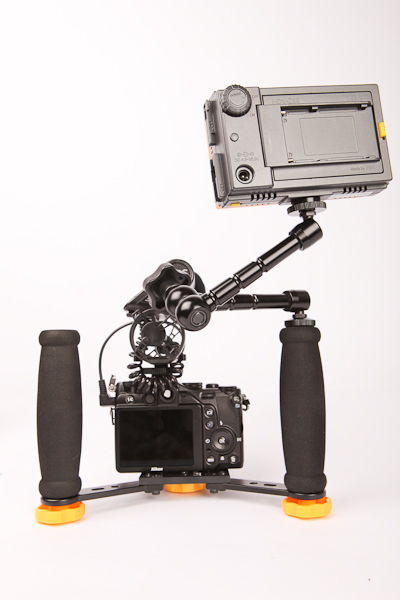 I'll have more stuff to show on the Ikan FlyKit DSLR Stabilizer soon. I know people will be looking for information about these popular cameras during the coming holidays, so i'll have more information to come. 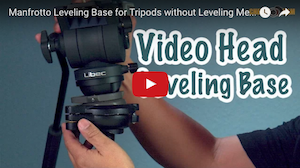 There's a ton of things I haven't covered like built in ND filters, Hybrid Image Stabilization, registering Custom Settings, built in Effects like Fisheye and Miniature Filters, built in HDR Processing, and much much more. 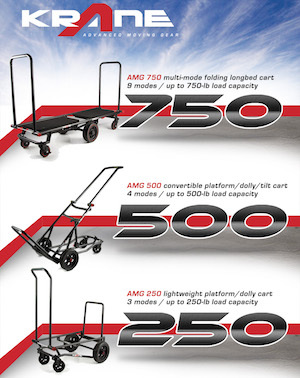 I'll try to get it to it soon, but there's more technical specs at the product pages below. Showing right to left Canon S95, Canon G12, and Nikon P7000. 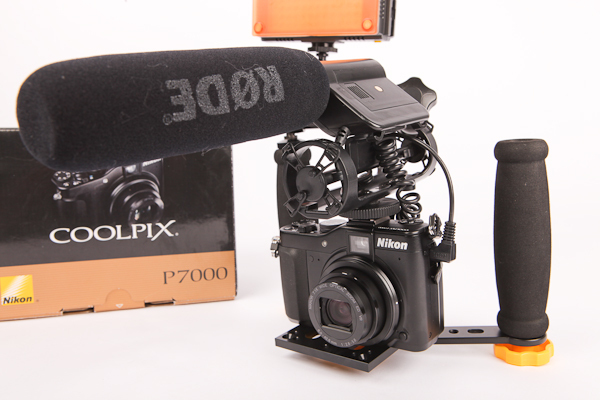 Posted in DSLR Audio, Equipment Reviews, Lens Talk, Photography Contest, Videography Gadgets. 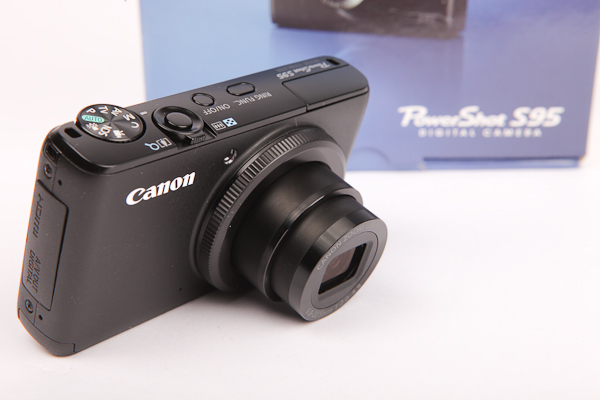 Tags: canon g12, Canon S95, canon s95 vs g12 vs P7000, Nikon P7000 on November 1, 2010 by Emm. Just a few days ago these were only available for pre-order. Looks like Amazon has them in stock and available for Prime shipping. Means it's actually shipping from an Amazon warehouse, and not from a third party seller. 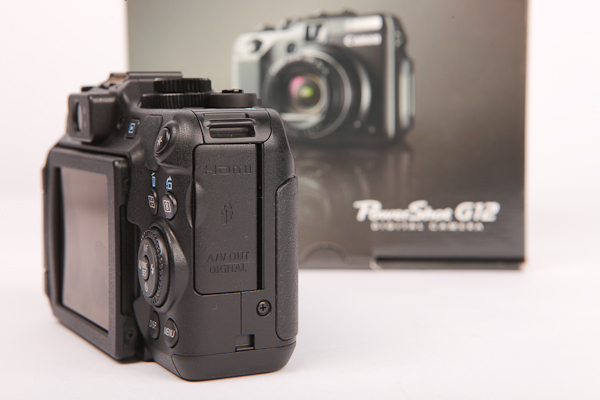 This camera is a nice upgrade from the already popular G11, with new features like HD Video recording and in camera HDR photo processing. 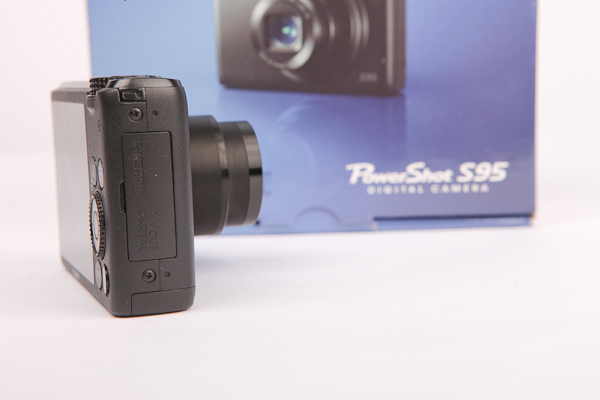 5x Optical Zoom with Image Stabilization, flash hot shoe, swivel out LCD (like 60D), can be triggered remotely, lots of manual controls, and RAW photo capture. It's about as DSLR as you can get without going full DSLR. One question that's been on my mind is 'will there be some manual controls in video mode'? Also mentioned is that it could already be compatible with the Canon WP-DC34 Underwater Housing . 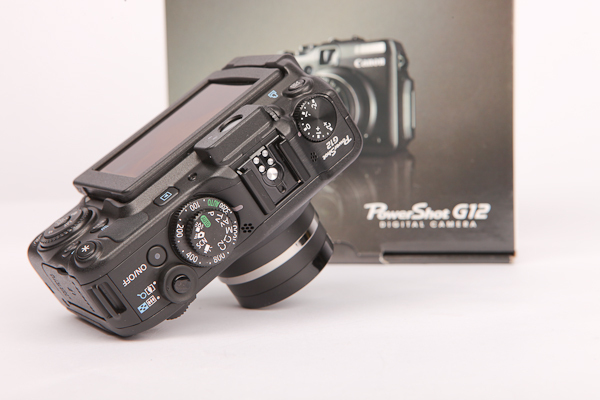 I'm not bold enough to take a full DSLR under, but this G12 + housing looks like an affordable combination for Underwater HD video or RAW photos. Something my GoPro isn't quite capable of. Available now via Amazon below. Posted in Canon G12, Equipment Reviews, Photography Gadgets, Videography Gadgets. 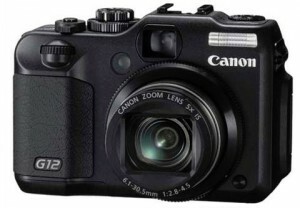 Tags: canon g12, canon powershot g12, g12 in stock, underwater housing, wp-dc34 on October 6, 2010 by Emm. 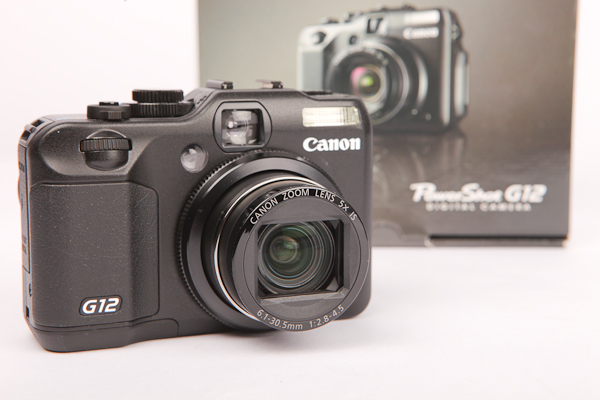 I can't find a whole lot of retailers selling the Canon Powershot G12 right now, but there's a few available on eBay here: Canon Powershot G12 10 Megapixel Dig Camera w/ HD Video . 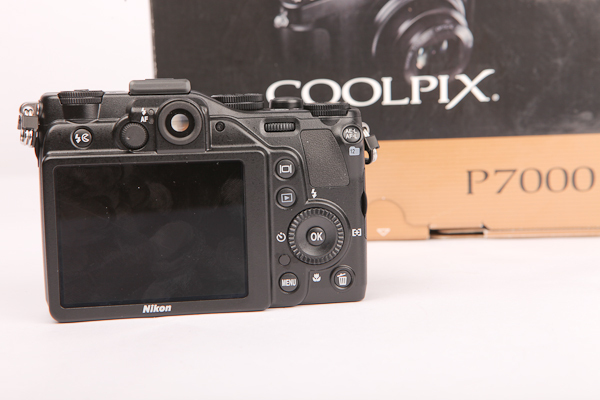 Both the Nikon P7000 and Canon G12 feature 720 HD video at 24fps, Image Stabilization, TTL Flash controls, and RAW photo capture. Yes they have hot shoes, and with the right triggers you can fire a flash remotely. 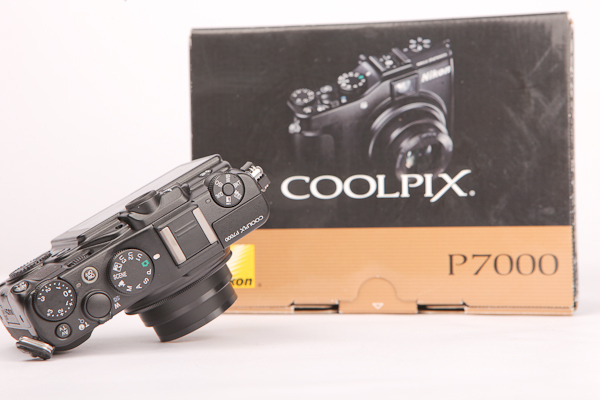 Both cameras have manual control features close to shooting with a true DSLR, less the interchangeable lenses. I can't find much information on the Nikon P7000 about HDR, but the Canon G12 has built in HDR processing taking three different exposures and combining it into a single high dynamic range image. The Sony NEX also has this HDR feature which works pretty well too. 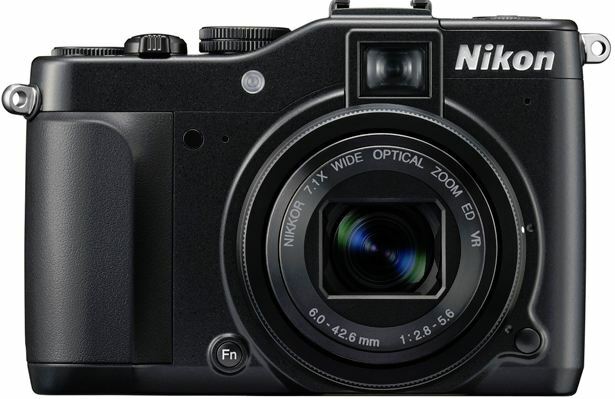 In the previous article, the Nikon P7000 had a few better specs over the Canon, so it would be interesting to see what sales are like. 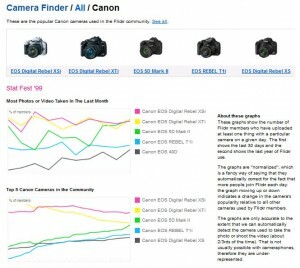 Not a true representation, but Flickr has an interesting report on cameras that have uploaded images into their system. The funniest thing is that the most popular camera showing is the iPhone 3G. LOL. 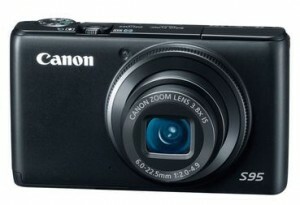 Posted in Canon G12, Equipment Reviews, Nikon P7000, Photography Gadgets, Videography Gadgets. Tags: canon g12, Nikon P7000 on September 29, 2010 by Emm. Here's another interesting comparison between Nikon's new rival to Canon's G series camera. 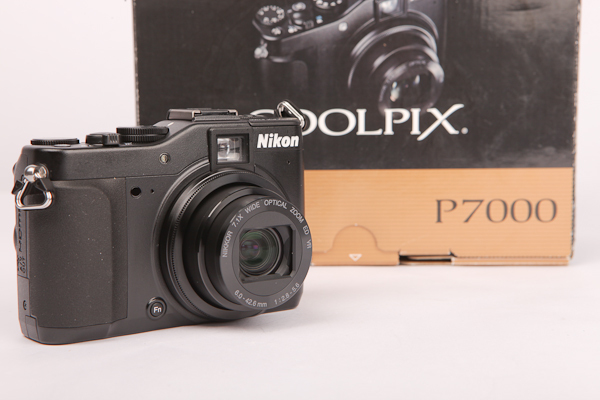 Nikon wasn't a big player in this sub DSLR space before the recent announcement of the Nikon CoolPix P7000, but check out what they had to bring to the plate against the new Canon G12. Both cameras have DSLR like functionality with manual control of shutter and aperture and come in with 10 megapixels. Estimated price around $500 dollars, these two cameras are HD video capable at 720p @ 24fps (interesting they would use only 24fps). 30fps can be achieved when shooting at 640 x 480, but you know what they say. Once you go HD you never go back. Ok maybe i'm the only one who says it, let's move on. Canon's G12 can do an ISO of 3200 while Nikon can move up to ISO 6400. (It might be a terrible 6400 so i'm not looking into that feature so much). 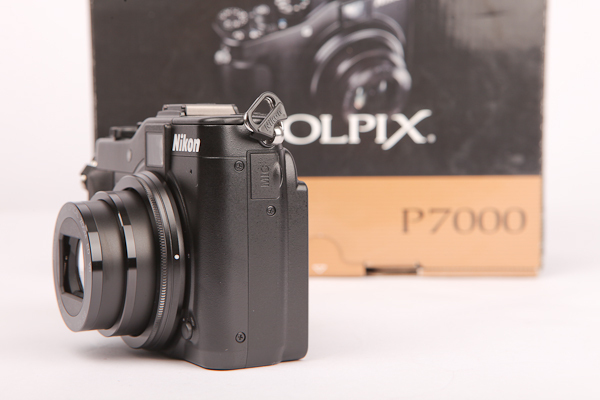 The Nikon P7000 zoom is rated at 28-200mm while Canon's G12 sits at 28-140mm. 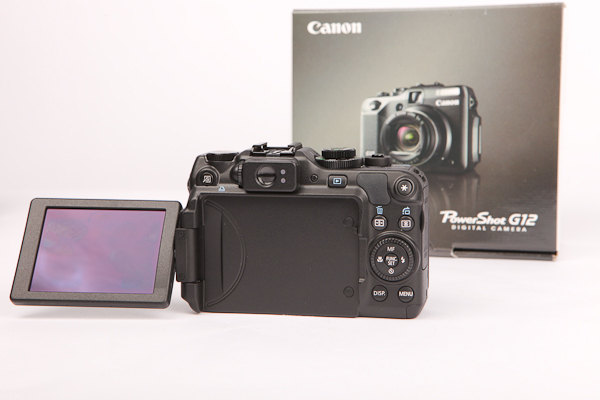 Canon's G12 LCD is a tad smaller at 2.8" than the Nikon P7000's 3" and the G12 LCD also has a lower resolution. C'mon Canon get in the game here. Ok here you go - Canon does have the upper hand in maximum shutter speed set to 1/4000ths while Nikon maxes out at 1/2000ths. Canon is also throwing in their new found love for Vari-Angle LCD that seems to be appearing on all their new gear including the Canon SX30 IS and Canon 60D. Feature wise, Nikon is definitely hitting hard this year and I expect them to gain some fair market share in at least entry level DSLR's and sub DSLR's. They are finally bringing down their prices to compete with Canon's new lineup. Everyone is still waiting for each brand to pull the big rabbit out of the hat at Photokina in a few weeks, shortly afterward we'll start seeing some real live comparisons. Posted in canon 60d, Canon G12, Canon SX30 IS, Nikon P7000. Tags: canon g12, canon sx30 is, Nikon P7000 on September 15, 2010 by Emm. 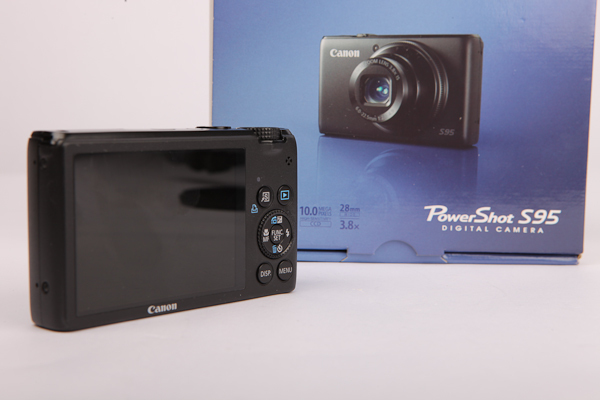 I purchased a Canon Powershot SX210 IS camera because I was impressed with the amount of Zoom, Image Stabilization, and 720HD video capable features. Although this is a different range of camera, Canon just announced the new SX30 IS, 14 Megapixel Point and Shoot camera with an incredible 35x Optical Zoom (not digital). Looks like i'll be upgrading my Point and Shoot soon enough! 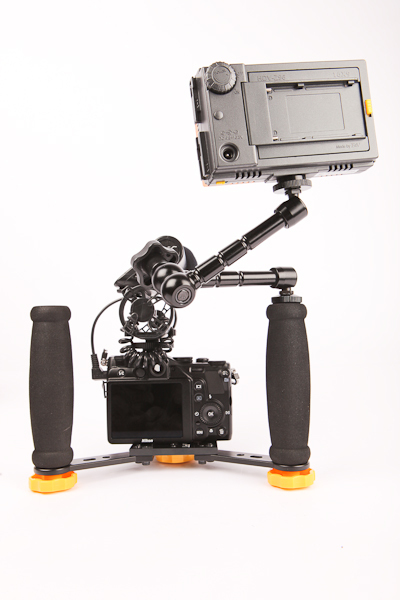 This range in 35mm terms is 24-840mm using the Ultrasonic motors from the EOS cameras. 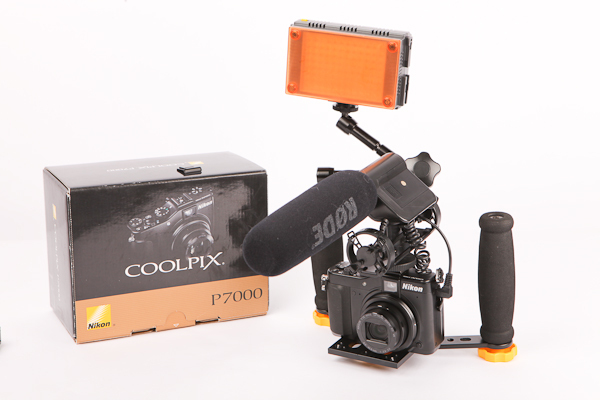 With that type of range, other features include their famous Image Stabilization and 720 HD video with stereo sound. This sounds like it has all the bells and whistles one might need. 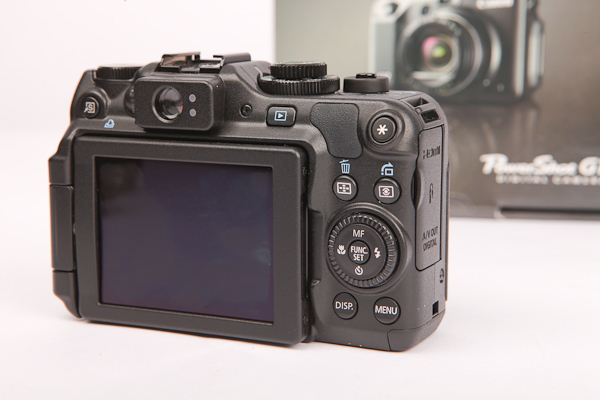 Another feature is the articulating LCD screen which should come in handy for both photos and video use. 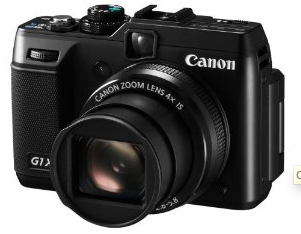 It's an interesting camera that's almost DSLR like similar to that recent Canon G12 announcement. 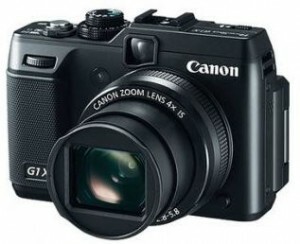 Could this steal some of that Canon G12 thunder? 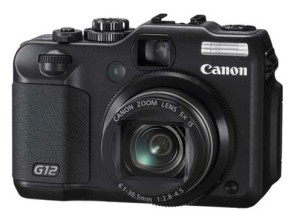 Of course the G12 does have a hot shoe. Oops, I guess this little camera has a hot shoe too. Well Canon now has several new cameras including the Canon 60D recently announced which are not yet available for purchase. With so many different options they've pretty much covered any gaps in what buyers could think they might need in a single camera. Don't think that it's over though, we still haven't heard the big big news from Photokina scheduled at the end of this month. More information about these cameras can be found with the links below. 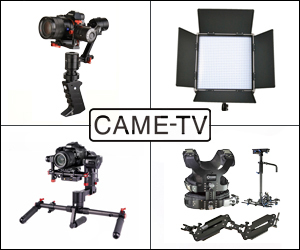 Posted in canon 60d, Photography Gadgets, Videography Gadgets. 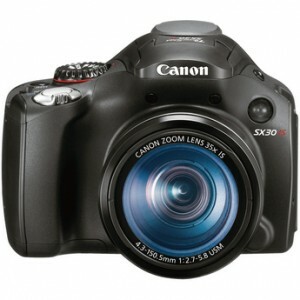 Tags: canon 60d, canon g12, canon sx30 is on September 14, 2010 by Emm.